Why is that some seasons we can relate to better than others? In living a life of balance, we need to learn to relate to all four seasons as they manifest into our environment. Each is an essential part of our life. Come on a journey of discovery into the magic of the Seasons. 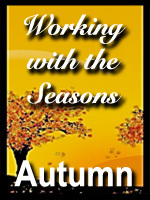 Learn to appreciate the Seasons and learn how to use them to improve your life. 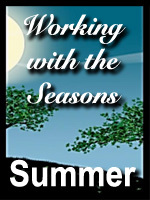 Over the year Janine Donnellan will be presenting a series of 4 workshops each representing a season. 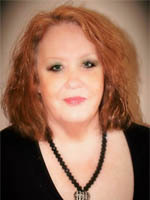 BOOKINGS ARE ESSENTIAL FOR ALL WORKSHOPS ~ Please contact Janine to make your booking. A non-refundable deposit of $50.00 is required for all bookings and can be paid using the PayPal button below. The final payment can be made at the workshop. Autumn is considered a time of balance, a time of darkness overtaking light, a time of celebration and giving thanks. At this workshop you will learn to work with the season of Autumn and to use its energy to bring balance to your day to day life and to enhance your own magic and spiritual work. Winter is the season of death and rebirth, with the focus on spiritual rebirth. Winter, the most metaphysical of the seasons, is a time when we can commune with our ancestors, a time when the veil is thin and we can move between the spiritual and the physical. Spring signals the beginning of the season of rebirth, the resurrection of nature. With the budding of plants, the land is filled with fertility and becomes a time for the stirrings of the heart and a time to spring board new adventures. 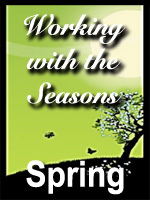 Each season brings with it a spiritual insight that adds news dimensions to our journey. Summer is a time of brightness and warmth. The power of the sun at Midsummer is at its most potent, and the earth is fertile with the bounty of growing life.